Who needs a personal trainer? Fitness trackers are pretty remarkable devices when you know how to use them. When used right, they let you pick apart data from your training to get the most out of your exercise regime. On the other hand, if it's used by someone that doesn't know how to act on the data, it's all too easy to end up with a device that simply spouts numbers and stats that don't mean much to you. In an ideal world, your fitness tracker would be like a digital personal trainer that sits on your wrist and coaches you through a training regime, powered by the rich data that it's observing. 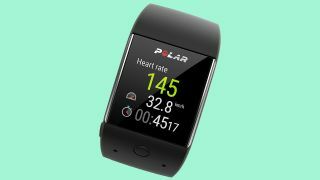 We sat down with Tom Fowler, President of Polar (and former professional triathlete) to talk about the state fitness trackers are in now, and where they are going. “There are lots of companies that can track GPS based metrics or heart rate based metrics and show you a billion different permutations of those numbers in terms of maxes, averages, your current blah blah blah," Tom said. "I don’t want to say it’s easy, it's just not anything particularly special today. It might have been 5 or 10 years ago but it's not today. And that’s why Polar has been dedicating itself to working on mobile and web based apps that take that data and make it meaningful for the user. “We're talking about taking this data that the devices generate and then interpreting it in the web and mobile application, giving the user the insight to know that they're on track; that their overall fitness is actually improving regardless of whether that they feel like they're going faster or slower on one day versus another." One of the major concerns with a goal oriented training system is that it doesn’t allow for much humanity in the equation. It’s very easy to find yourself in a game of constantly attempting to run faster, run harder, run for longer, in order to keep ‘improving’. “Our proprietary Polar running index gives you an objective number that intersects how far you ran, at what speed you ran, and how hard you have to work as determined by the heart rate values you were generating." “So it doesn't reward you for going really long and really hard, and nor does it penalize you if you run short and easy. It validates for the athlete that they don't need to go beat their brains out every day, which of course we all know is a surefire path towards injury and disappointment. One problem with this type of machine learning-driven coaching is that it doesn’t account for the psychological barriers to great performance. It’s a common occurrence during training for your brain to tell you that you’ve got nothing left in the tank when in reality you’re not even close to reaching the sort of overload that is going to make meaningful change in your level of fitness or overall results. One of the main things that people need from a personal trainer or coach beyond instruction on what to do, is encouragement to keep going when they think they can’t. Keep pushing. You've got this. Heart rate variability is basically the difference in length between individual heart beats, rather than measurement of heart beats per minute. “It kind of flies against intuition but the more variability there is in the heart rate the greater the degree of recovery. If you're really well rested and have had a recovery period of several easy days, your heart variability should actually be quite high. “It’s called the jump test. It's available on all of our performance watch products and it's very simple. You’re just doing three vertical leaps under the same conditions each day and measuring the the height of each of those jumps. This is a fairly standard fitness test that a personal trainer would run with you, and while it is obviously tailored towards leg muscles (and explosive-power muscle fibers), it’s great to see the value of a fitness professional find its way into a wearable device. “So you combine HRV based recovery scores with a test like the jump test and get a pretty good idea of if you’re ready to take on a bunch of load today or if you need some recovery. The beauty of it is that it gives the athlete the confidence to know that it may really, really hurt but they're capable of holding 270 watts for 10 minutes, or whatever the number is. "Having that confidence boost and the reduction in self-doubt based on data that's available to us today is hugely liberating because most people don't push themselves. When it's time to go super hard they don't go super hard because they're afraid. The fear of the unknown and the fear of ‘what if I fail? what if I can't? "If you can wipe all of that away, now the person is free, they're liberated to actually just go for it, and shock and delight themselves."